I still can’t believe Payton will be TWO this week! She has a few different TV shows she likes, but recently she has loved Sesame Street. 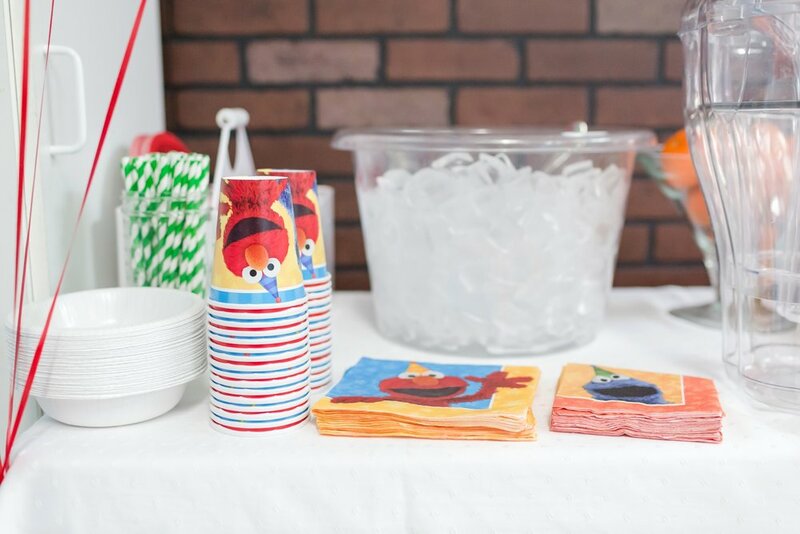 So I thought it would be fun to throw her an Elmo birthday party! Rachel and I had fun pinning lots of ideas and creating our favorites. 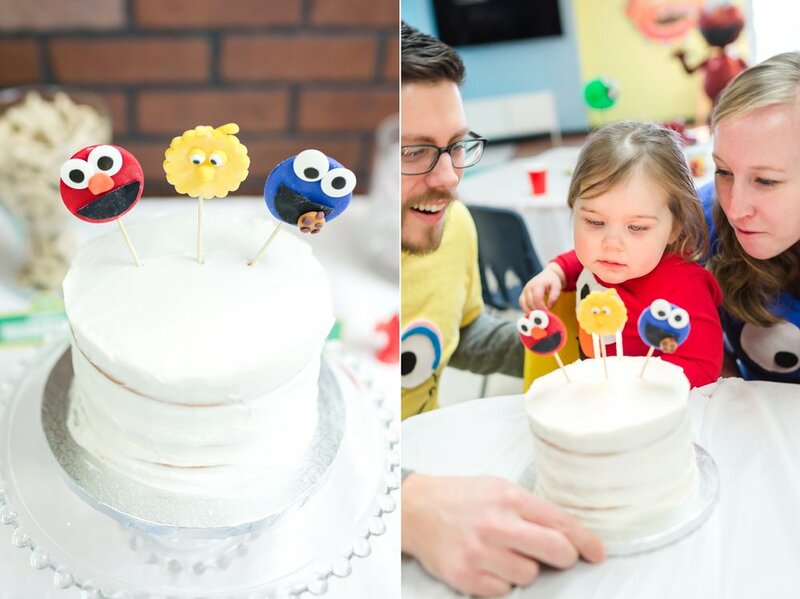 There is nothing like using cheap materials to make something adorable! 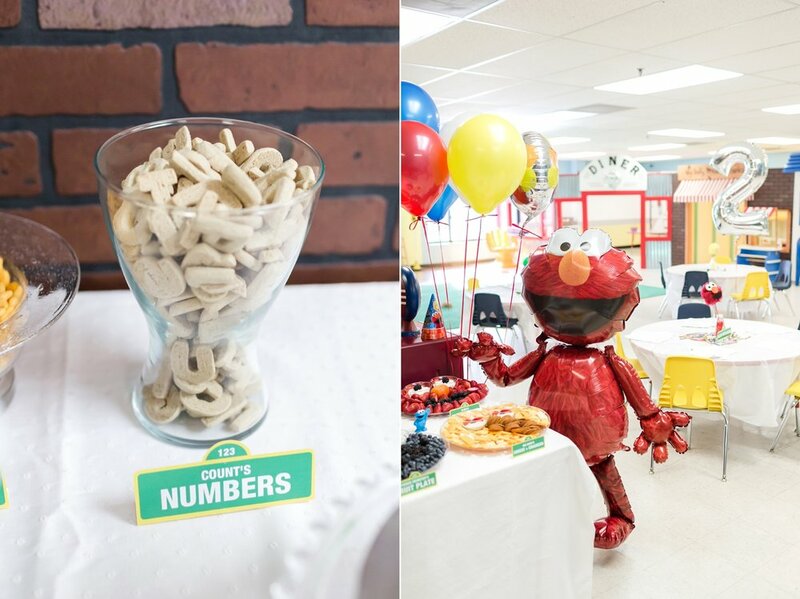 As the weeks went by and more decorations for the party were added to the kitchen table, Payton would see them and say, “Elmo birthday!” It was so cute. We had a blast celebrating our precious girl at our church Grace Fellowship Church in the preschool room. It was the perfect location for the party because the room is set up with mini rooms that make it look like a little town! All of the kids had a blast and the Elmo walker balloon was a big hit. Payton was very shy when it came to singing Happy Birthday, but she loved eating the icing and enjoyed a cookie monster cupcake. 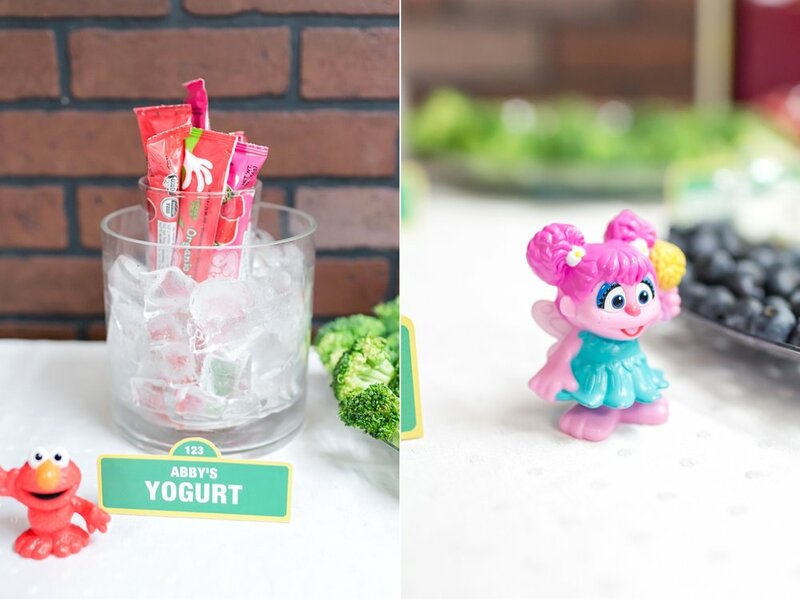 Enjoy these images from Payton’s second birthday party! A big thanks to Rachel’s mom for making the cake + cake pops! 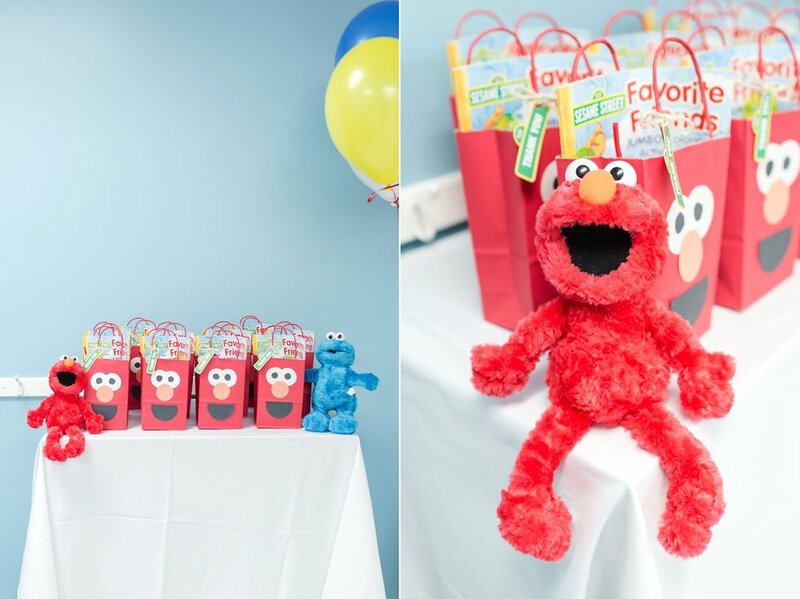 The morning of her party Payton kept saying, “Elmo birthday, Elmo birthday!” She just wanted to hold the shirts all morning haha! Thanks to PartiPartieParty for the Sesame Street Templates! Thanks for picking up the balloons, Dad! We are still trying to figure out if Payton is right or left handed! So happy we got a happy pic with Payton! She has been very sassy recently behind the camera. Love her to pieces! The beauty of pinterest! I combined two different centerpiece ideas I found with the pom-poms and loofa’s. I made the faces from felt and painted the sticks and they were done! 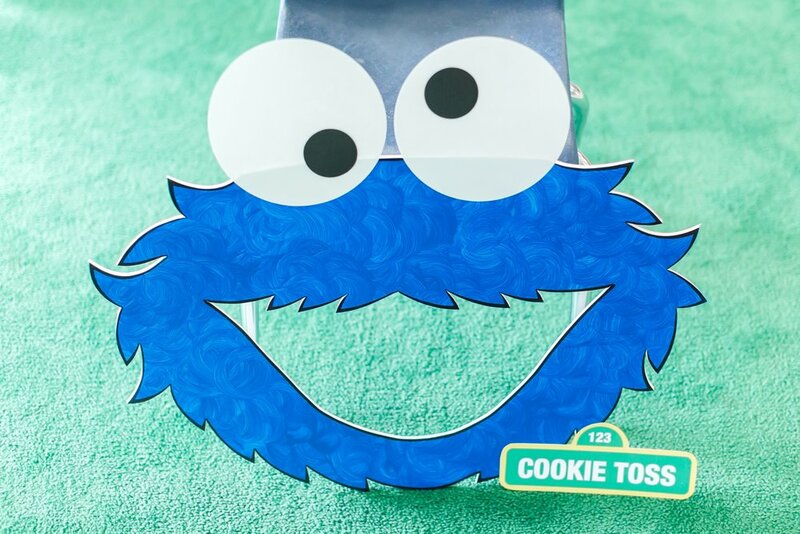 We loved this cookie toss! Thank you, Little Brinklings. We hope to use it this summer in the backyard! Still trying to teach Payton how to hold up two fingers haha! 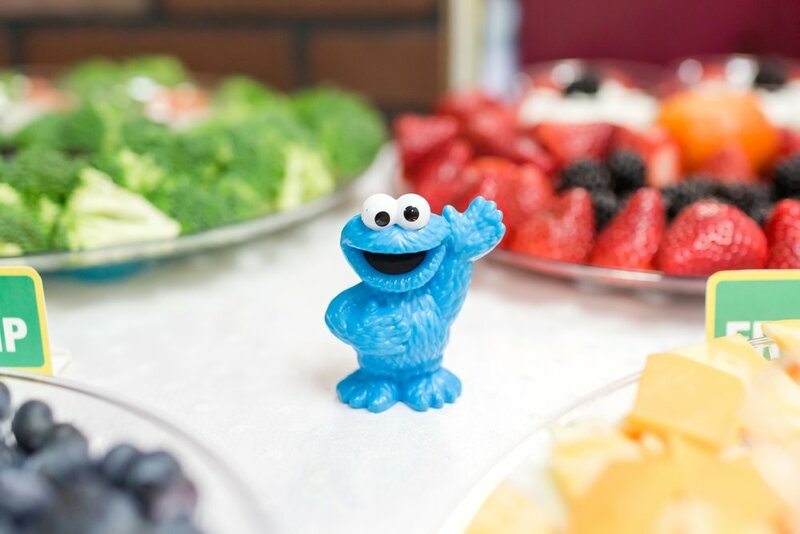 The cookie monster cupcakes were a big hit! We cut the green straws and taped the signs on! So adorable. Fun times dressing up with the construction hat! The cash registers were a huge hit! It was so nice to have the toys in the room already. Toddlers love having different things to play with! Loved having Pap Pap at the party! Payton loves her Pap Pap! Payton was a little shy during her birthday song! We love Joy Joy! Pretty sure Payton was tired of pictures at this point. She will be thankful someday!! Then she gave everyone kisses. So precious! Love from Kay Kay and Papa! Classic Payton trying to gather all the things. I love how her mind works! Love this card from Adilynn and Norah! So special. My parents got her a baby doll bed and we wanted to see if Hallie fit in it. Poor Hallie was so confused! Love our small group bible study! Then she just wanted to push the bed around since it was on wheels. Too funny! 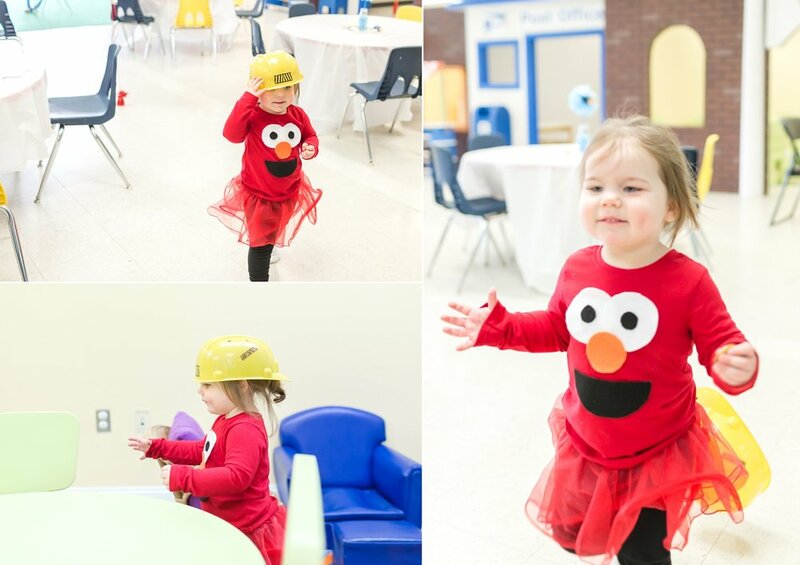 The Elmo walker was a big hit! Thank you to everyone who came out and made our girl feel so loved! It was a wonderful celebration and we are so thankful for our beautiful Payton! Here’s to TWO!! In case you missed it, check out our favorite images from our 2018 wedding season!